Not everywhere in the world has water you can drink straight from the tap. Even if you do happen to be lucky enough to live somewhere with clean water, tap water doesn’t always taste the best. Water from bottles can taste a bit better but then, all that waste. The WELLY is a reusable filtered bottle for your great tasting water hydration needs. This bottle is all about the sustainable lifestyle. It has filters made from coconut shell carbon and is made in part from sustainably harvested bamboo. 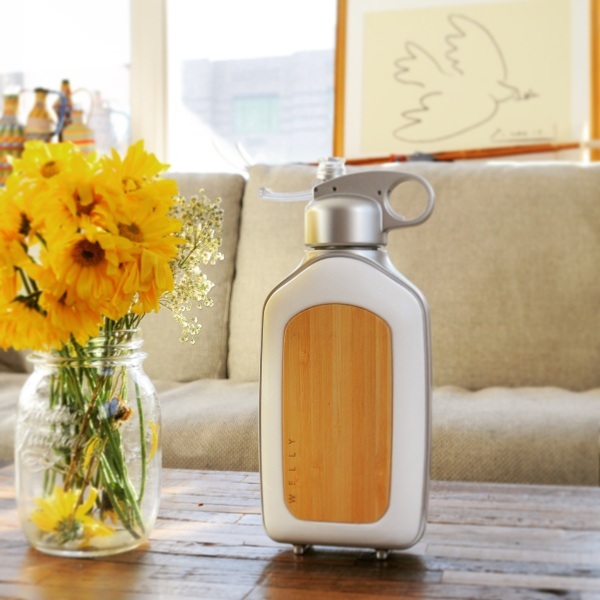 It’s a water bottle for people who want their water bottles to look good while keeping themselves from dehydrating. One filter from this bottle can replace the use of 300 disposable bottles. That’s a good deal of waste. You can even use ice cubes in this bottle so your water will be cold if you like it that way. It’s sturdy and easy to toss in a bag for when you’re on the go. It’s an easy and efficient way to reduce your carbon footprint. The WELLY is $35.